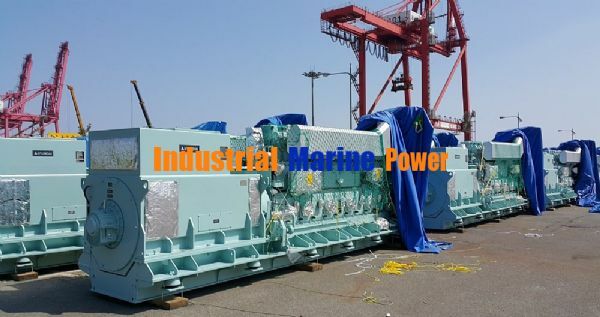 We are able to supply following Hyundai Himsen 9H25/33 Diesel - HFO Power Plant Engines. These generators were delivered on September 2014, but never used new ones in stock due to the cancelled project. It includes engine + generator + control panel, and can run on diesel and/or HFO. The selling price recently reduced for quick sale is almost a half of new order price now. Cooling tower and other electro-mechanical auxiliary equipment is not included and should be purchased additionally, if required. Dear Sir, can you send it data sheet of this genset . this genset is low voltage & hi voltage . where is location of this genset in turkey,we can make side visite. we can know price of this genset. What is the best price for 1 unit ? if we buy all 22 units have discount ? our customer is looking for an engine block and crankshaft for a Hyundai Himsen 9H25/33 engine. 3700 kW @ 1000 rpm. could you quote me on that please? Please send us a quotation on 2 genset of stationary Himsen 9 H25/33. In case you have other brands that supplies between 1700 and 2500 Kw stationary gensets ,please do quote accordingly. Please send specification on any of your generator set which have a capacity from 0- 900kw continuous run or larger up to 2000kw , with voltage 480/240 ,60Hz.With the oil treatment plant included ,and fuel type HFO . Please instruct to prepare your technical and finance proposal and send us via email as soon as possible . We are very interested to buy 2 of the above-mentioned units so please send more information and the price. We would like to procure all 22 mentioned genset as we require it on a high priority, please do let us know the further proceedings to make things easy and workable, your urgent responce will be appriciated.